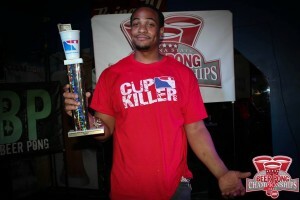 It’s hard to believe that we here at BPONG.COM just celebrated a full decade of competitive, professional beer pong at our 10th Annual World Series of Beer Pong this past January! Likewise, many of our affiliated organizers and associations are celebrating milestones of their own this year as the sport continues to grow. 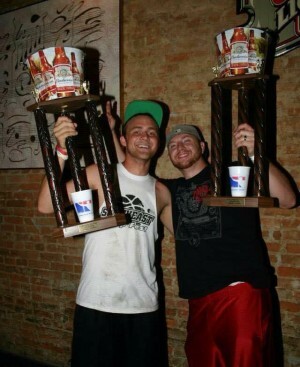 One in particular is the Indiana State Beer Pong Championships, which will be celebrating its 5th anniversary. 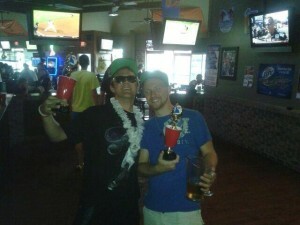 On March 26th of 2011, Dustin Rose of Muncie, IN, played host to the first of what would be an annual tournament exclusive to Hoosier residents. The exclusivity feature is a rarity in the pong community as many players travel from out of state to any event they can get to. However, Rose had a vision to crown Indiana’s best players and, therefore, required all players to have an Indiana state ID or Indiana college ID to be eligible for participation. The exclusive tradition will continue this year with a new host. 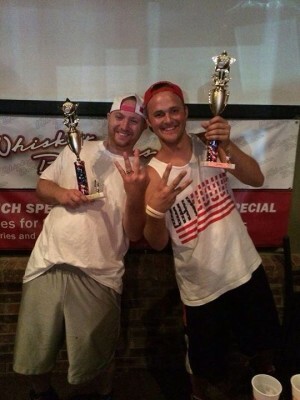 The 2015 event will be operated by Southern Indiana Beer Pong (SINBP) in Columbus, IN, at Scores Sports Bar and Grill on Saturday, June 27th @ 12:00pm. Calling all Indiana University, Indiana State University, Butler University, Purdue University, Valparaiso University, Ball State University, and University of Indianapolis pong players. You all collectively have 0 state pong championships. Therefore, no matter how many games you won in a row at your last gathering, there are others in Indiana who hold official reign as kings of the table. 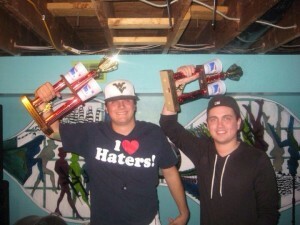 In fact, two players, Braden Nading & James Bacon, have dominated this event for the past three years. 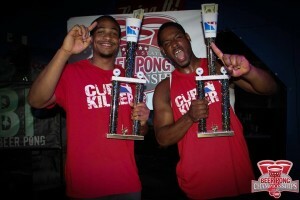 Who will take home this year’s championship and be crowned the best in Indiana? Will anybody be able to dethrone the 3-time reigning doubles champions this year?